Your accommodation choice will influence your whole leisure holiday or business trip. London has a very large palette of hotel options, so make sure to select the most appropriate one, according to your plans, journey duration, budget and wanted comfort. The great thing is that this wonderful capital city offers accessible accommodations in every borough and near all the busiest airports. An example of a popular location is Premier Inn London Hampstead. This hotel is situated close to some of the most beloved parks, pubs, restaurants and shopping departments. Wembley and Camden Town Market are just some examples. Public and private means of transfer can take you to any desired borough in London at any hour. 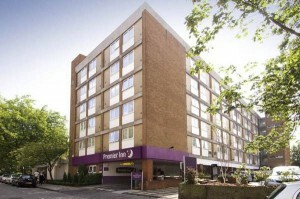 Premier Inn London Hampstead offers some of the most competitive prices and modern facilities in every room. Wi-Fi, air conditioning, comfortable beds and tasty dishes can only make you’re staying pleasant. Moreover, you can reach Central London and all of its touristic objectives in only a few minutes. So take your loved ones out for a short walk and have fun in no time. Entertainment is right around the corner. In order to get a Heathrow Airport to Premier Inn London Hampstead Transfer by rail, there are three main options. First of all, you could take the train from Heathrow Terminal 1 (every 10 minutes), followed by a bus from Paddington (line 46 – every 10 minutes). This journey will take about 51 minutes in total. The second option is the bus from Heathrow Central Bus Station (every 60 minutes), followed by a Tube from Gunnersbury (every 15 minutes). This journey lasts about 1 hour and 11 minutes. The last option involves a Tube from Heathrow Terminals 1-2-3 (every 5 minutes), followed by a bus from Russell Square (line 168 – every 10 minutes). It will take a total of 1 hour and 23 minutes of your time. A Heathrow Airport to Premier Inn London Hampstead Transfer by car can be done by taking the Great West Road/A4 Rd and then the A40 one. Heathrow Airport is at a 16.5 miles distance from Premier Inn London Hampstead. This journey will take about 42 minutes, without including traffic. A Heathrow Airport to Premier Inn London Hampstead Transfer with 247 Heathrow Airport Transfer is going to take about 60 minutes, including rush hour traffic. The price for a Heathrow Airport to Premier Inn London Hampstead transferÂ starts from 36 GBP.